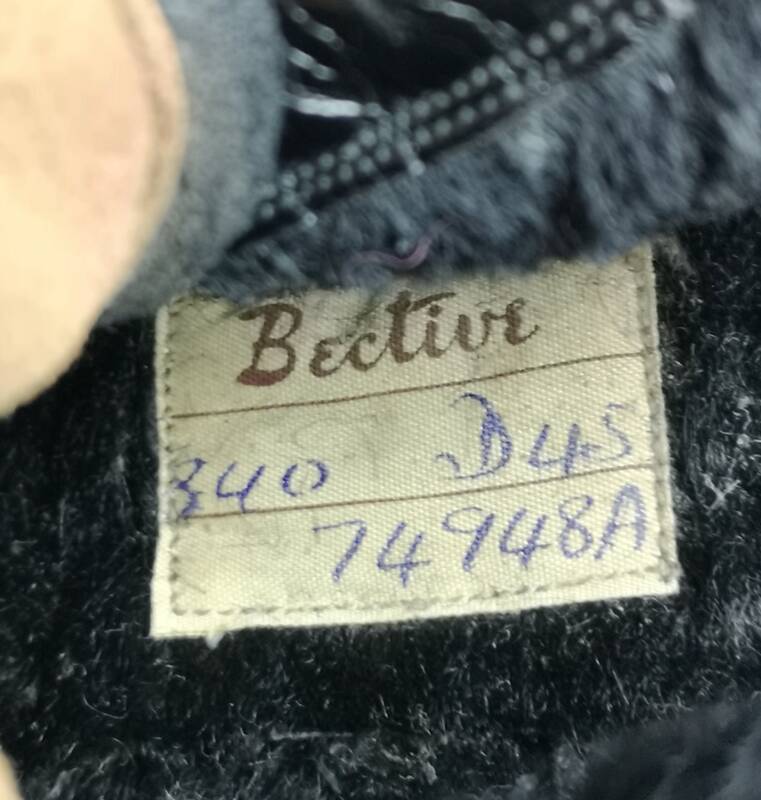 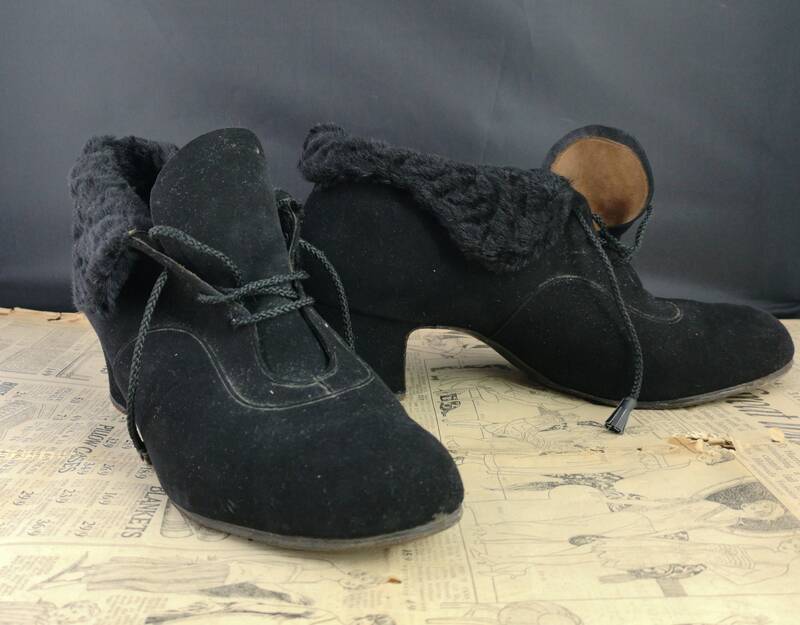 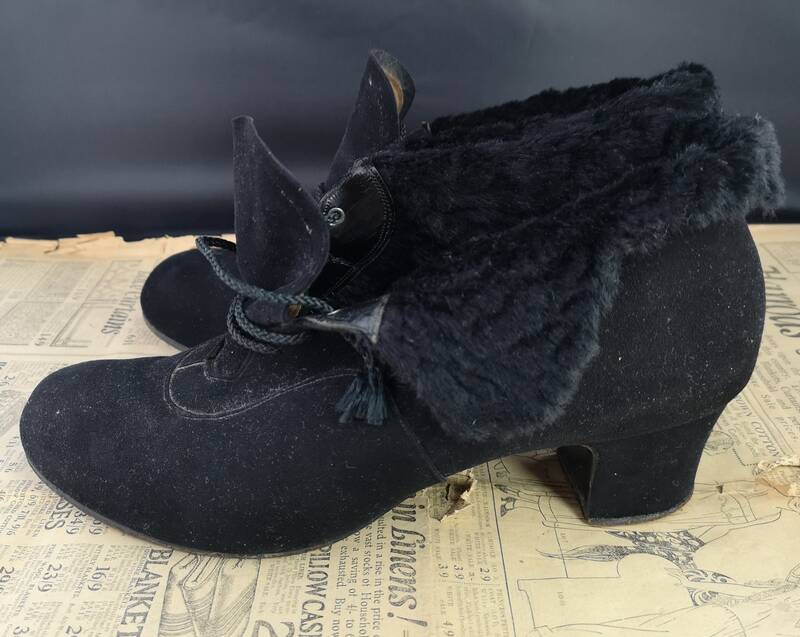 A gorgeous pair of late 40's black suede booties. 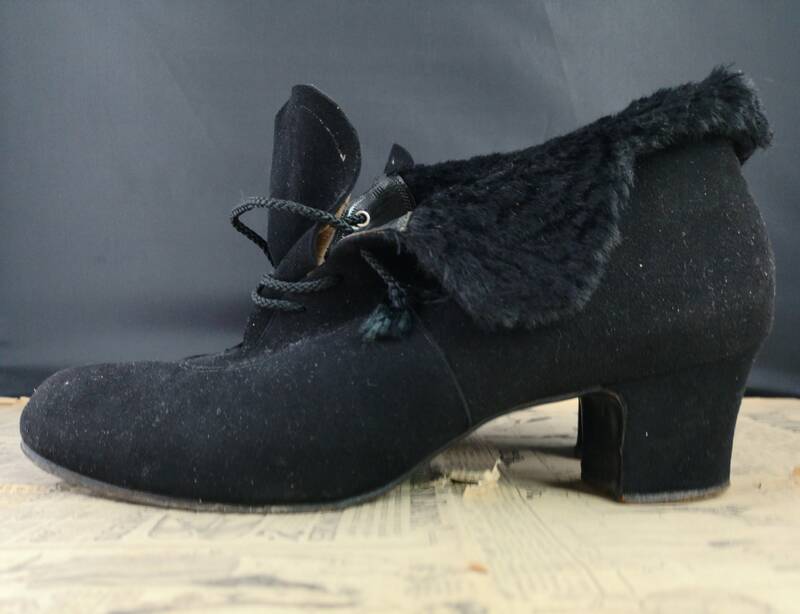 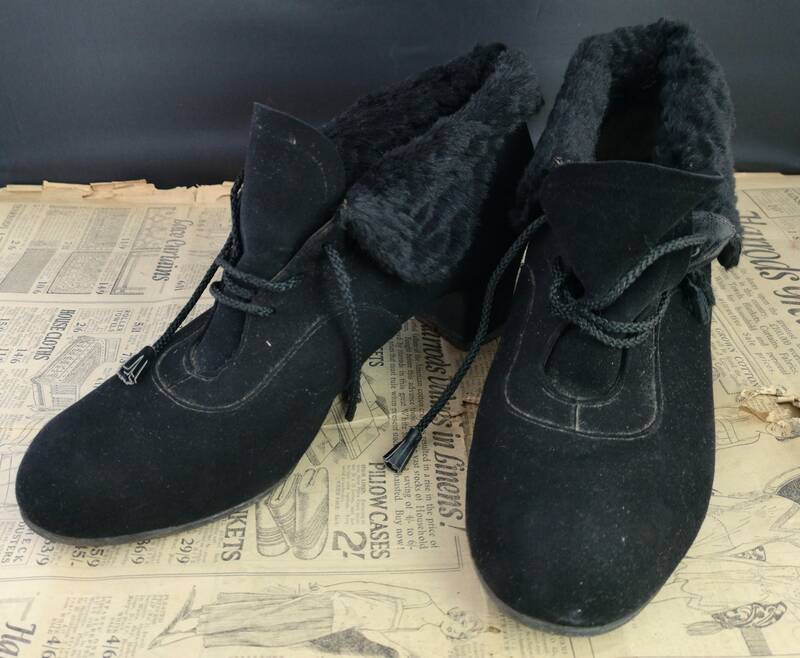 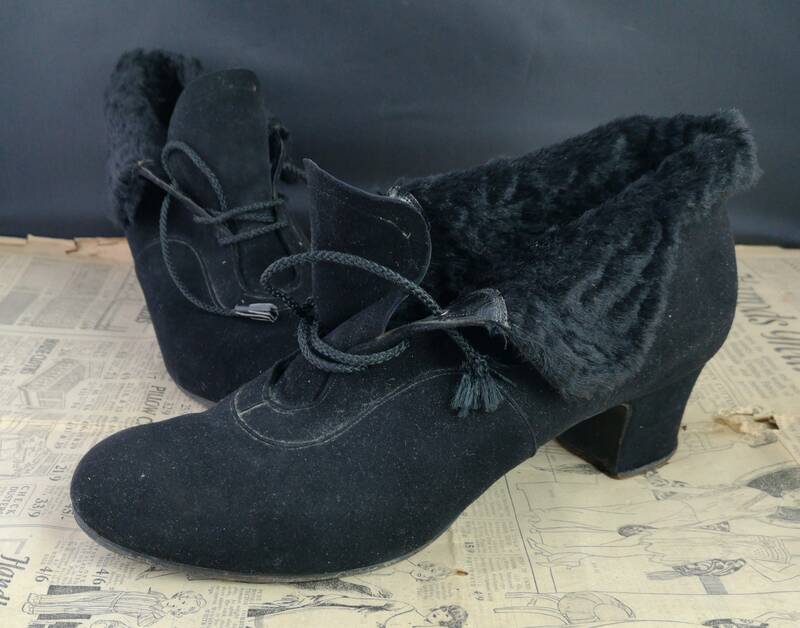 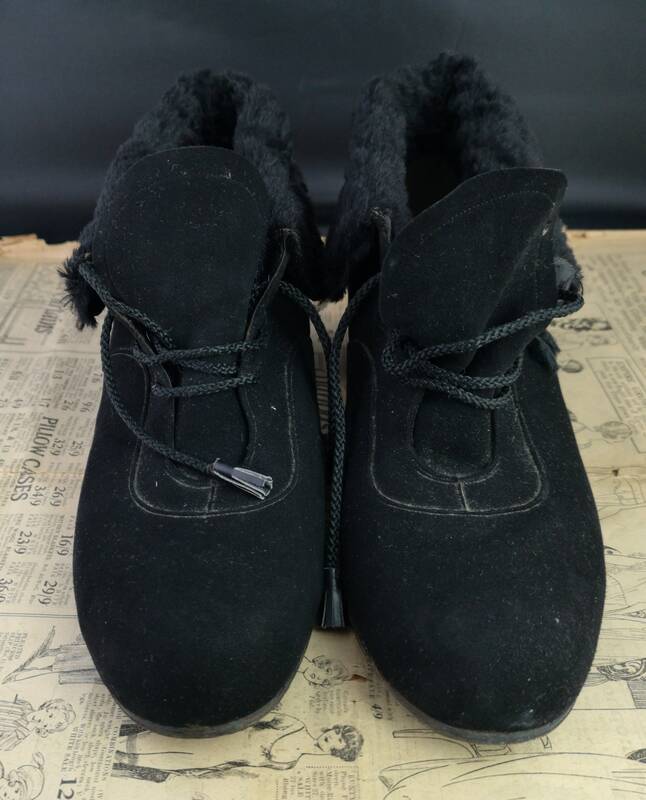 They have a black faux fur trim and lining, they are lace up with a leather tassle trim on the laces (missing on one side) and a chunky stacked heel. 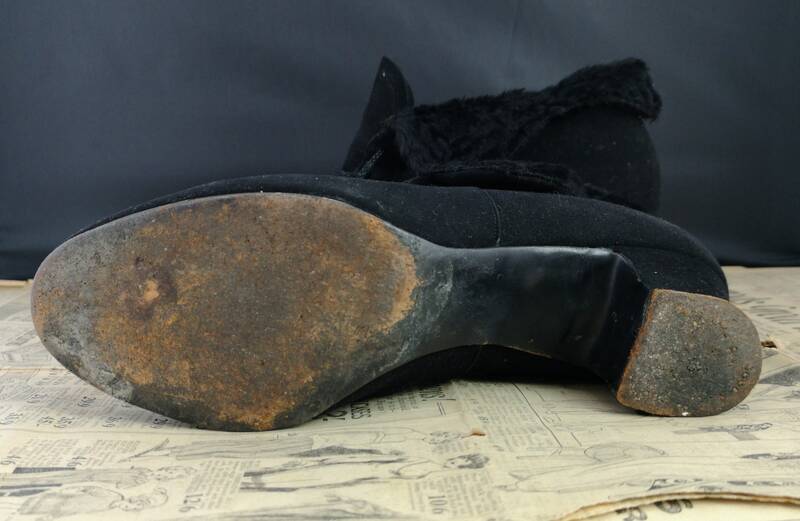 They are in good condition overall the lining is worn and there is some wear to the soles but still more than wearable. 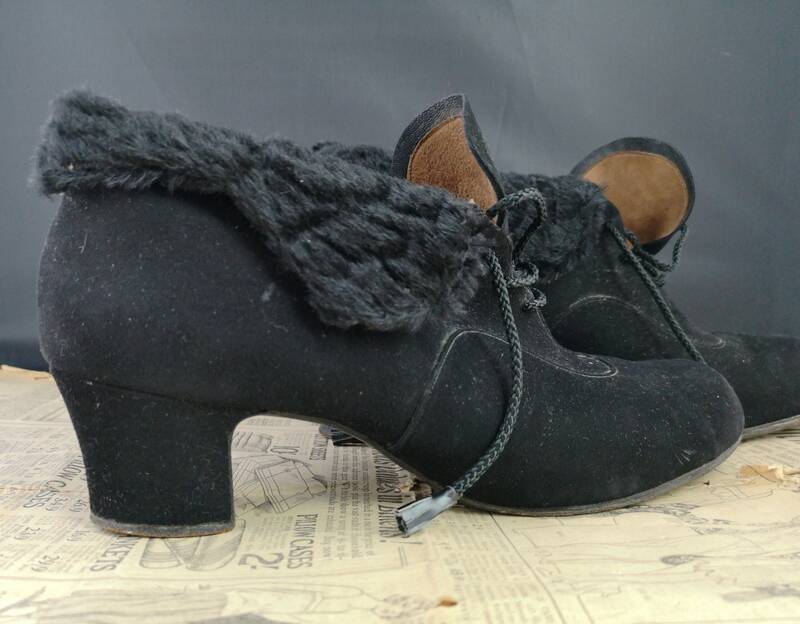 Width (at ball of the foot) 3"